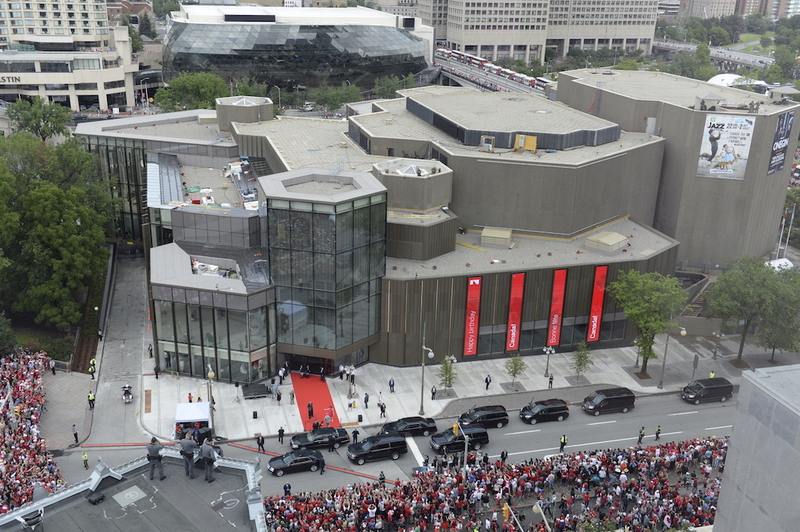 When I lived in Ottawa, I attended events at the National Art Centre many a time. 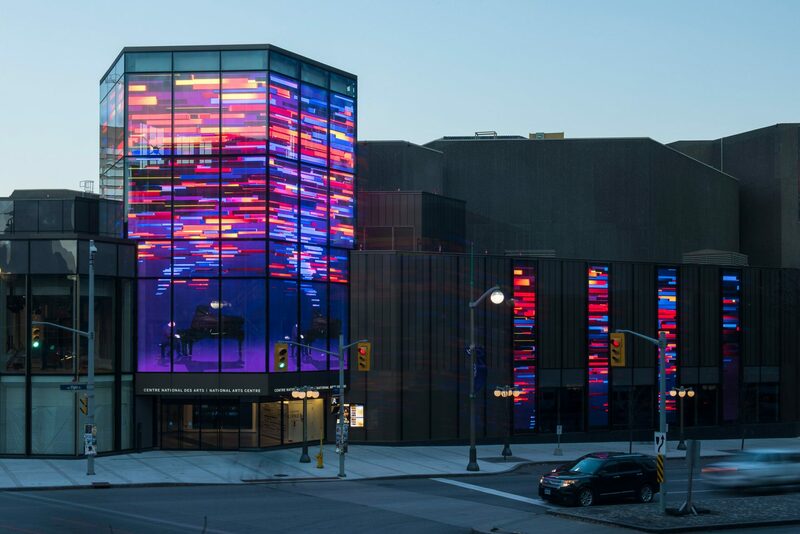 Concerts, plays, symphonies, lectures, the NAC (and yep, we pronounced it ‘Nack’) had a constant plethora of things going on. The building itself, though, was… well, the fact I don’t remember all that much about it speaks volumes. 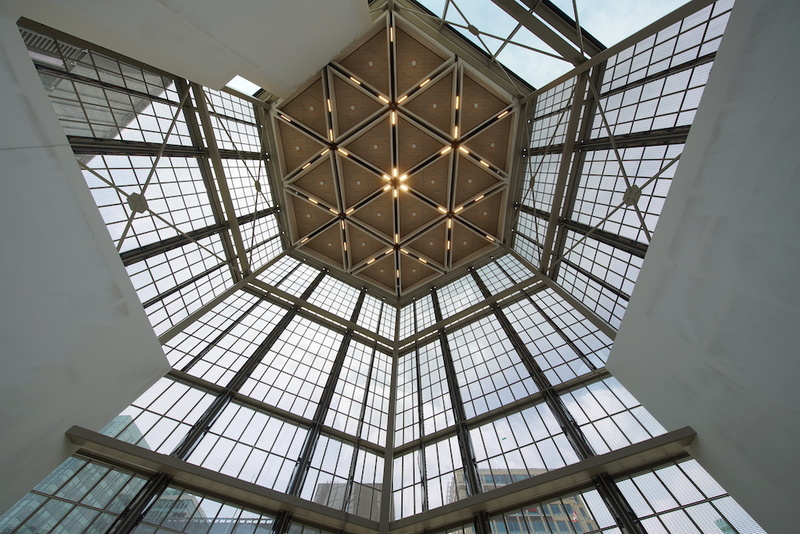 Built with a hexagonal motif, it definitively had a certain charm, using the hexagonal angles to its fullest both in its layout and in nice sculptural details throughout. But like many buildings of its era, it looked inward, predicting a time where the automobile was our prime interaction with the ‘outdoors’. 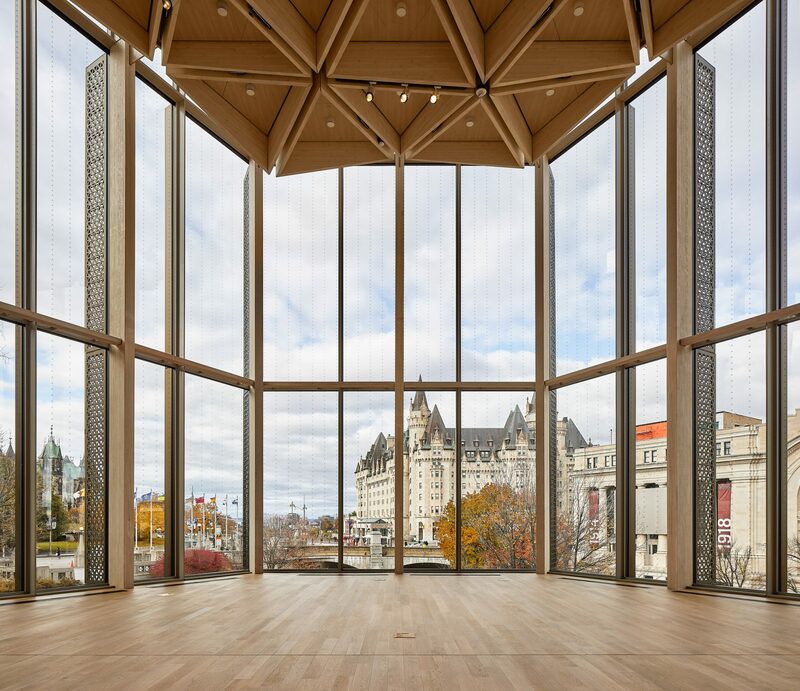 Completed earlier this year, the NAC has been connected to the city, announcing itself (and its entrance – it was always a bit of an adventure to know how best to get into the thing) to its environs while creating vistas from within back towards the city’s ceremonial core. Rather ingeniously, the new addition leverages (from what I can tell) the single-story plinth that wrapped the building from which the taller bits (housing the various performance spaces) sprang forth. By building in front and on top of them you get generous double height spaces with and automatic mezzanines atop that original plinth. 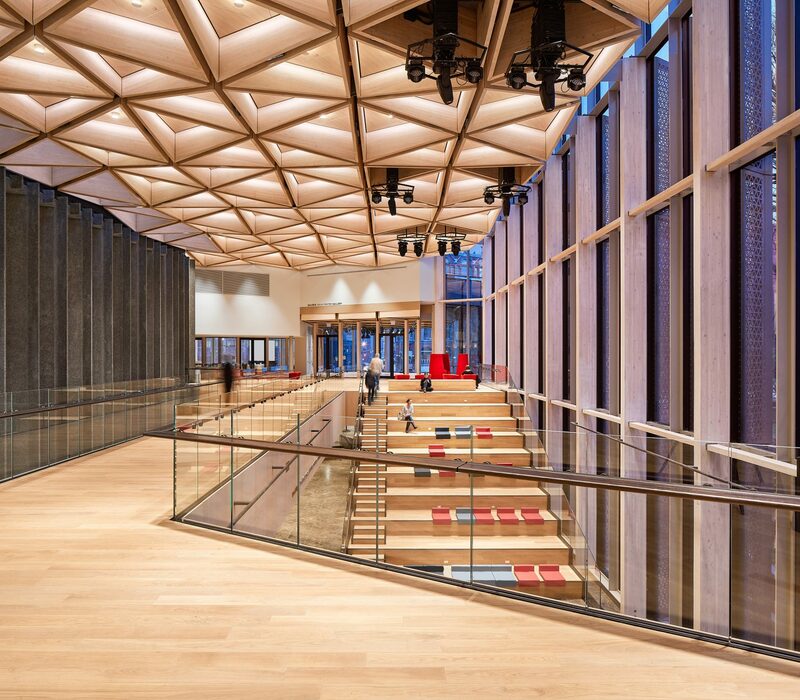 Not only does this help to create grand entrance, circulation, and intermission mingling areas, a whole new set of performance spaces can be sectioned off, allowing for even more and varied events. All the while framing those grand scenes and turning the city into a stage. 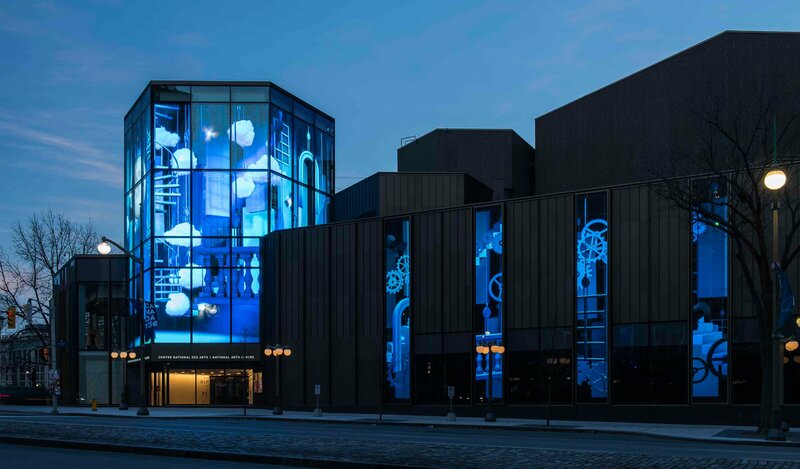 In the technological marvel department, the glass in the new entry lantern is embedded with thousands of LEDS to create a remarkable, transparent, video screens. Little art animations mix with Canadiana mix with announcements for upcoming events. 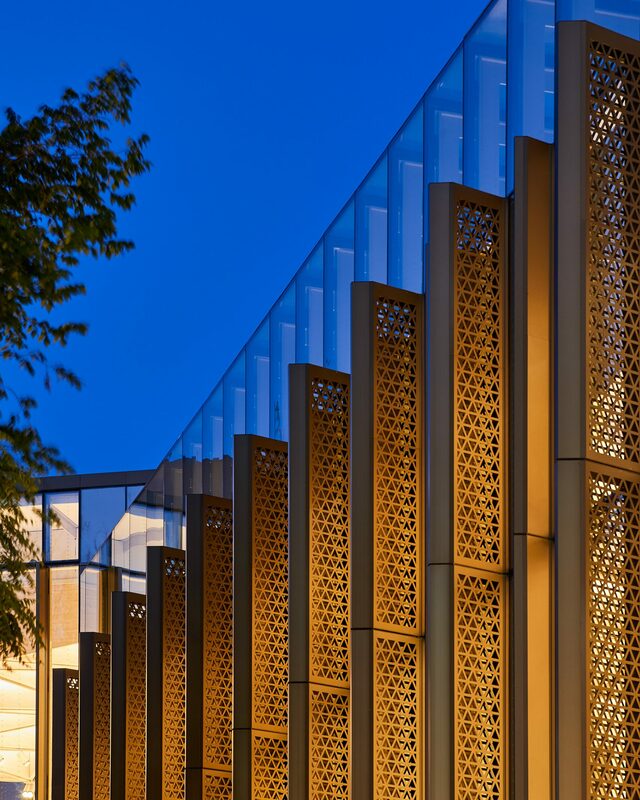 For a building that was once very sedate and receded into the background, that’s a lot of new pizzazz. I like it. 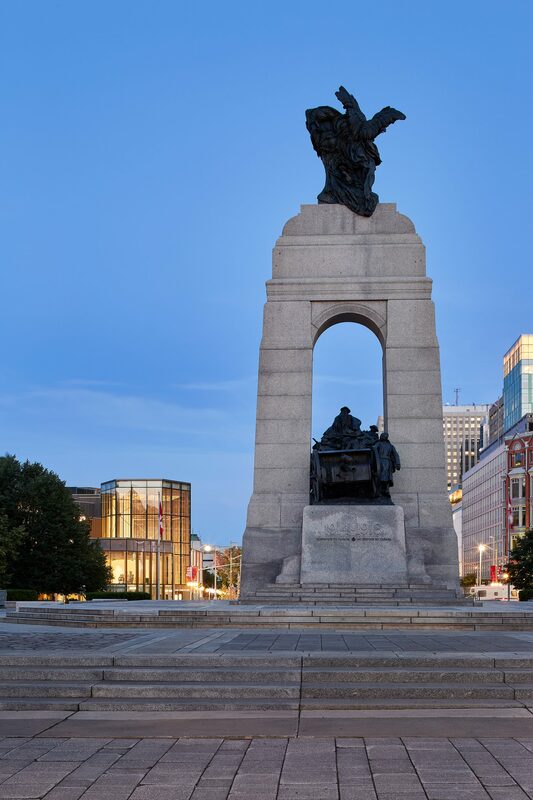 A well-done renovation that uses as much of the existing bones as possible and builds upon was there before it. It doesn’t try to erase the old NAC, or even hide it. Instead, it celebrates and continues the geometries and motif of the classic building to create an even greater whole. Good stuff. 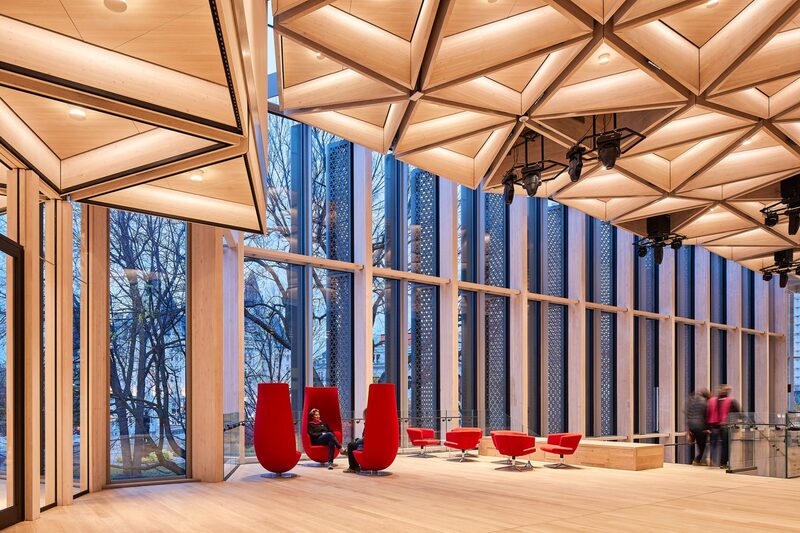 The NAC renovation by Diamond + Schmitt Architects. You are currently browsing the Lynx Thoughts blog archives for the day Monday, August 6th, 2018.